Three words often spring to mind when people think about Milan: fashion, business and finance. Unfortunately, these words are not usually the ones which have travelers jumping online to book an apartment in the city. Let our guide to Milan showcase the city for what it really is, a beautiful metropolis with a deep sense of history visualized in stunning architecture and fascinating museums. Gothic Milan Cathedral is the city’s most famous building, and is certainly the main attraction which visitors to Milan flock to see. The last details of the cathedral were only added in the 20th century, totaling the time spent constructing this stunning piece of architecture to six centuries. Upon walking into the cathedral, the amount of carefully crafted work which went into its construction is evident, from high Gothic vaults to white marble sculptures and magnificent alters. Visitors should be sure to take the elevator, or climb the 150 steps, to the roof to enjoy a panoramic view of Milan. Milan Cathedral. Photo by jvanattenhoven, via FlickrCC. 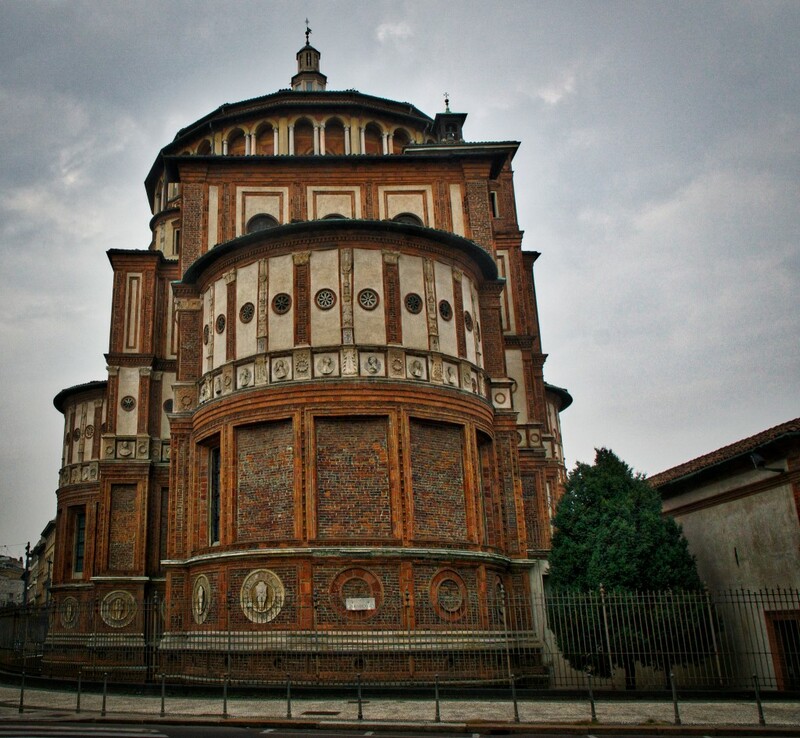 Once a tour of Milan Cathedral has been completed, visitors should immediately make their way to Santa Maria delle Grazie, a church and Dominican convent famous as the home of “The Last Supper” by Leonardo da Vinci. Tickets to see da Vinci’s treasure are hard to acquire. Those who wish to view the painting are best to book tickets online weeks in advance as entries at the door are not permitted. Although visitors are only allowed to spend 15 minutes with the paining, a trip to Santa Maria delle Grazie is not a wasted journey. The UNESCO World Heritage Site also boasts beautiful Renaissance architecture, frescoes and paintings. Santa Maria delle Grazie. Photo by Davide Oliva, via FlickrCC. 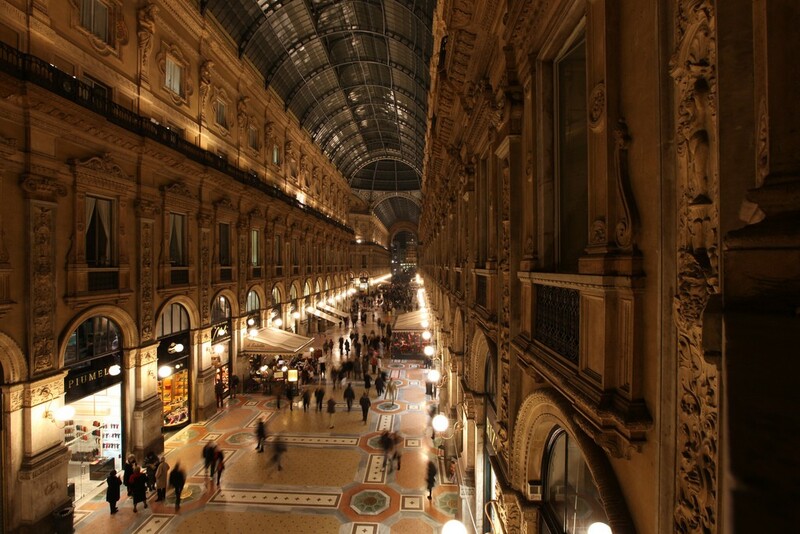 The connection between fashion and Milan is strong and therefore, the city is considered one of the best places in the world to go shopping. However, visitors to Milan who are looking to expand their cultural experience a bit beyond fashion can combine retail therapy with history by making their way to Galleria Vittorio Emanuele II. One of the world’s oldest shopping malls, Galleria Vittorio Emanuele II is a stunning piece of architecture featuring iron and glass covered walkways, an octagonal central piazza placed under a huge glass dome, and a monumental triumphal arch. As well as offering numerous shops, restaurants, cafes and bars, it is home to the world’s first Prada store. Galleria Vittorio Emanuele II. Photo by Bruno Cordioli, via FlickrCC. Visitors who insist on planning their trip ahead should certainly pencil in a show at the world-renowned Teatro alla Scala. While the appearance of operatic artists and many of the world’s finest singers may give it the air of an exclusive club, it is possible to get tickets to opera and ballet performances. The program for each year usually begins on December 7 and can be found on the official website. 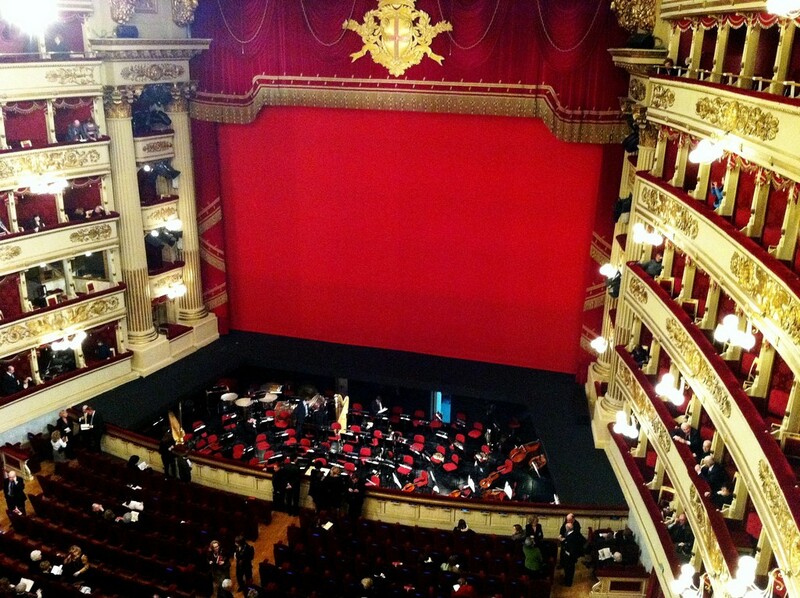 Before the show, visitors can stop by the Museo Teatrale alla Scala Museum which contains a collection of paintings, drafts, statues, costumes, and other documents outlining the history of the theater and opera history in general. Teatro alla Scala. Photo by klik2travel, via FlickrCC. 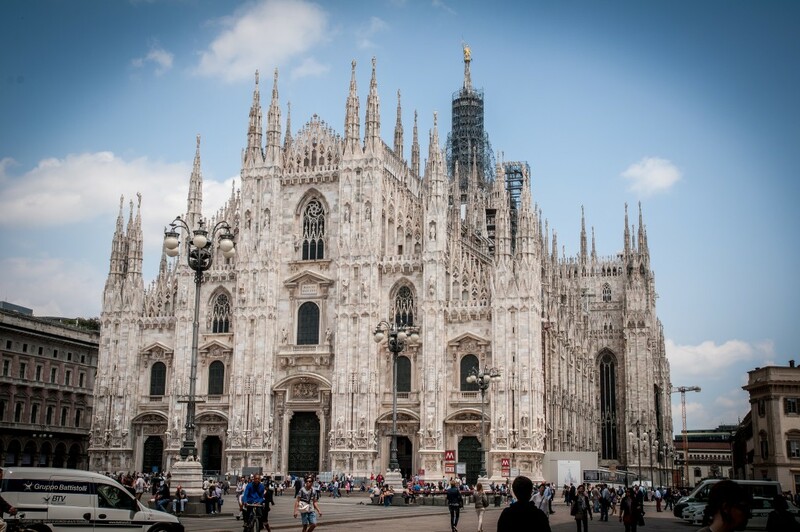 Historic Piazza del Duomo is Milan’s main square and is home to its most famous attraction, Milan Cathedral. Apart from the cathedral, it also prides itself as being home to some other beautiful buildings, such as the arcade of the Palazzo Settentrionale and the Palazzo Meridionale. 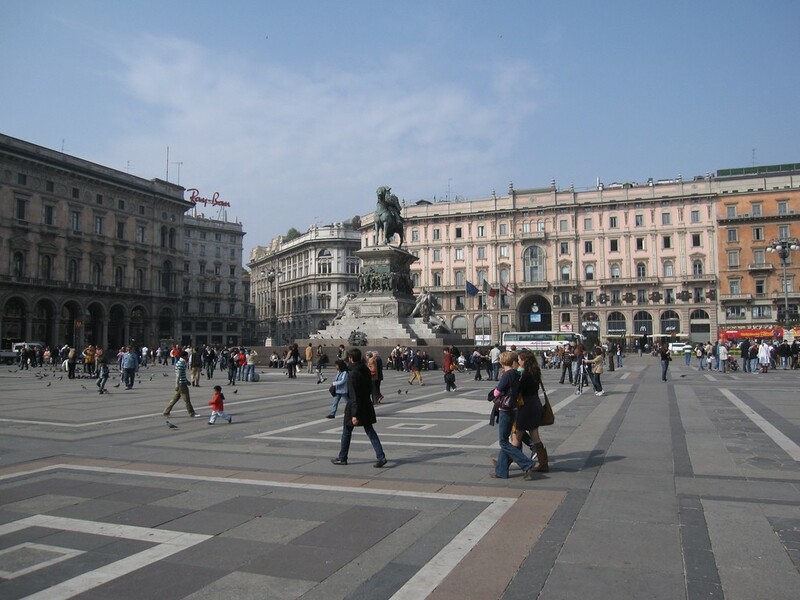 The center of the square holds the 19th century Statue of Victor Emmanuel II. Nowadays, Piazza del Duomo is always bustling with tourists, and is the main meeting point for locals. Piazza Mercanti is another beautiful square in Milan, which used to be main square in the Middle Ages. Close to Piazza del Duomo and the cathedral, it is worth taking a stroll here to enjoy an intimate pedestrianized square with stunning historic architecture. One of its main attractions is the 13th century Palazzo della Ragione. It is also recommended that visitors take the time to explore Piazza Mercato Abbiategrasso where one of the most interesting markets in Milan opens every other Sunday of the month. Piazza del Duomo. Photo by Bernt Rostad, via FlickrCC. 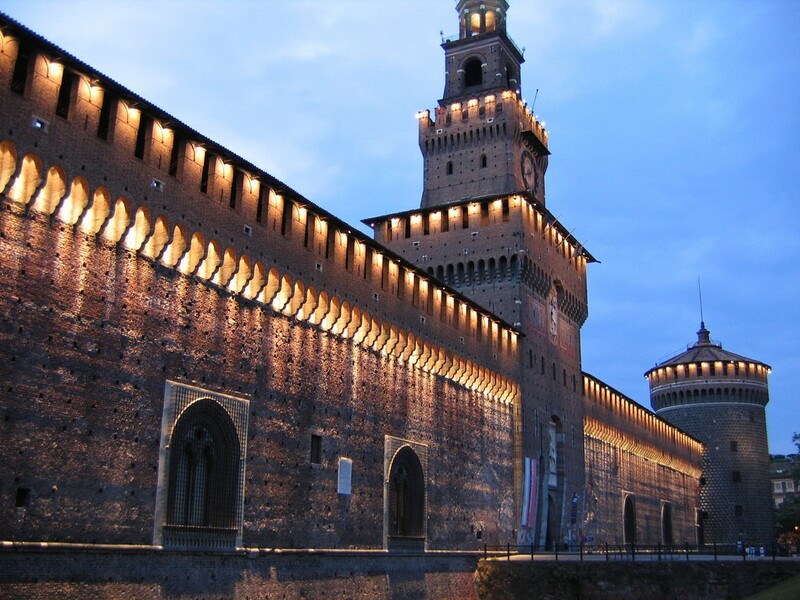 Along with Milan Cathedral, Renaissance Sforza Castle is one of Milan’s most important attractions. Over anything else, the 15th century construction is worth a visit just to see Michelangelo’s final, uncompleted sculpture, Pietà Rondanini. The sculpture revisits the theme of the Virgin Mary mourning over the body of the dead Christ, and can be found in the Museum of Ancient Art. Several other museums are spread out over the grounds of Sforza Castle. The archaeological museum, which houses prehistoric and Egyptian artifacts can be found in the basement floors around the Ducal Courtyard. The ground floor holds a wide ranging collection of ancient art, while the 1st floor offers the furniture collection and art gallery. The Museum of Musical Instruments and a collection of applied arts are placed on the 1st and 2nd floor of the Rocchetta House. Sforza Castle. Photo by Mike B in Colorado, via FlickrCC. 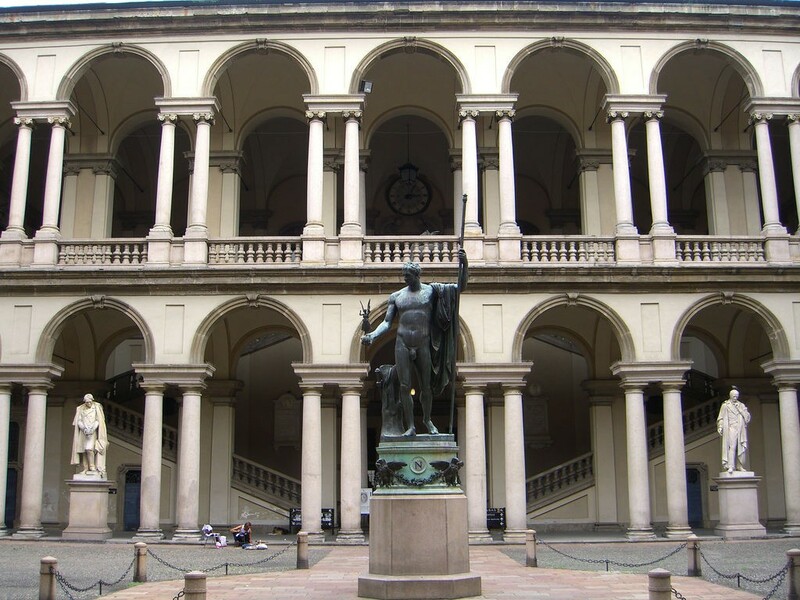 Pinacoteca di Brera is the main public gallery in Milan for paintings. Although the building was completed in 1773, the museum which we know today was founded by Napoleon in 1809. A bronze statue of Napoleon stands in the middle of the courtyard, among statues of artists, scientists and patrons of the arts. Pinacoteca di Brera also houses several cultural institutions including a library, observatory, science academy, art academy and art gallery. These in turn are home to some of the gallery’s most popular pieces, “Dead Christ” by Mantegna and “Supper At Emmaus” by Caravaggio. Pinacoteca di Brera. Photo by Olivier Bruchez, via FlickrCC. Beautifully landscaped Parco Sempione was established in 1888, and is situated right in the heart of the historic center of Milan. 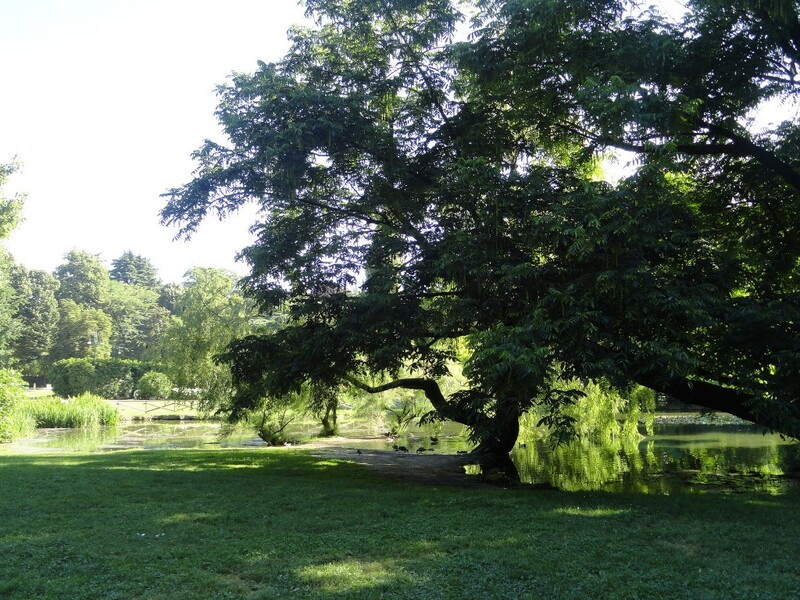 After soaking up the knowledge which lays within the grounds of Sforza Castle which sits right behind the park, visitors can relax among large meadows, playgrounds, ponds and cafes. It is also home to the Branca Tower, the Triennale Design Museum, the Arena Civica Sports Complex and The Acquario Civico Aquarium. Those visiting Milan during the summer will find that Parco Sempione hosts many outdoor concerts and exhibitions during this time. Parco Sempione. Photo by Dzhingarova, via FlickrCC. Is there anything you would add to this list as a ‘must-do’ for visitors to Milan?